These happy and affectionate fellows are English, with Spanish roots. 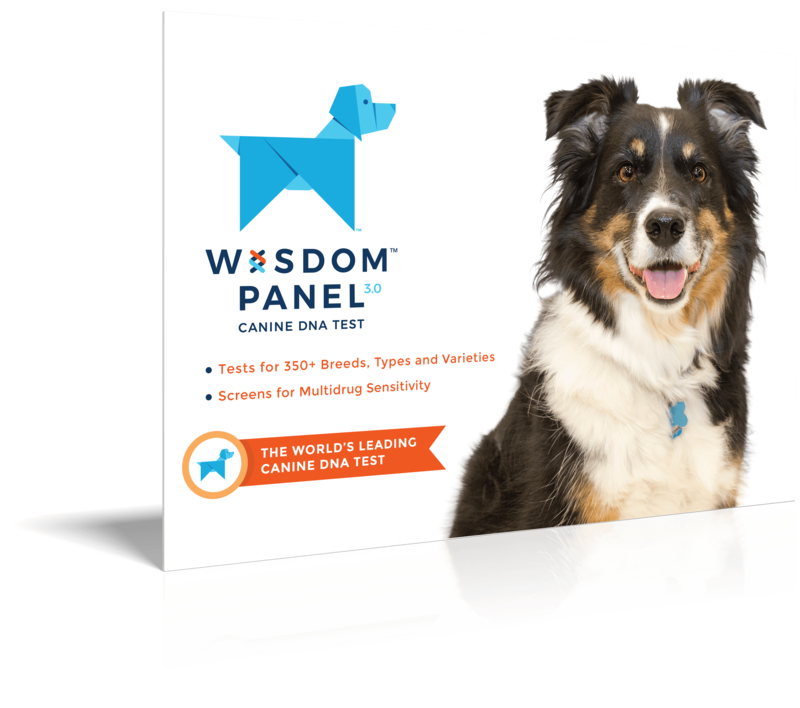 Intelligent, playful, happy, and usually friendly dogs; some may have a high amount of energy. 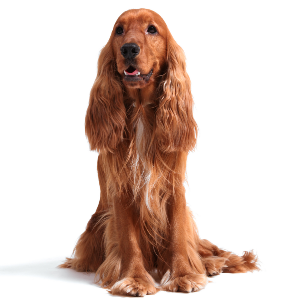 Very food motivated, which can help in training the English Cocker Spaniel to drop retrieved or guarded items not intended for play. 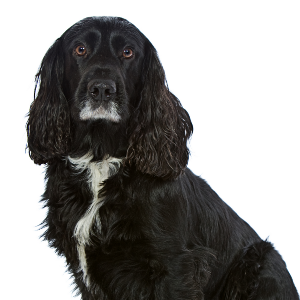 Enjoys dog sports such retrieving, tracking, hunting, field trials, agility, and competitive obedience. Occasionally may exhibit fearful behaviors, but these might improve with reward-based training. Although these happy and affectionate fellows are English, their roots are properly Spanish. 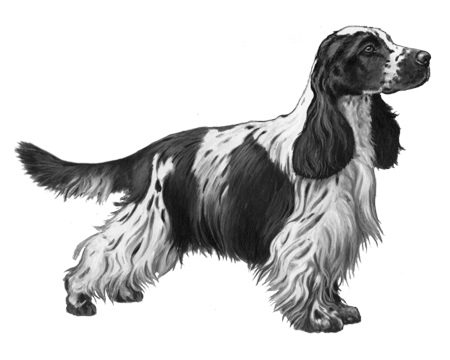 All spaniels can be traced back to Spain, where the English Cocker’s predecessors were used as hunting and retrieving dogs. It was from Spain that the dogs were traded and given away as gifts. They would often travel with their new masters back to England. Once there, they were put to work hunting on wealthy estates. 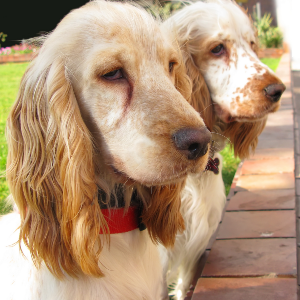 (The ‘cocker’ part of their name comes from ‘woodcock’, one of the birds they would help to hunt). 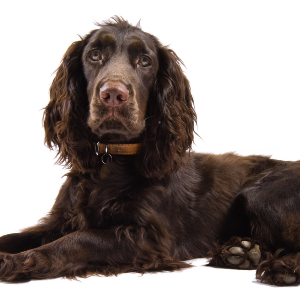 Though the English Spaniel somewhat resembles its transatlantic cousin, the American Cocker Spaniel, they are probably closer to the working dog form of the Field Spaniel and the Springer Spaniel. 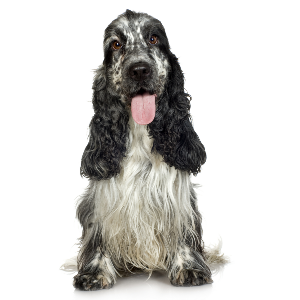 Having these fantastic dogs as pets today certainly works for us.